Our expertise in the industry allows us to source, supply, distribute and trade a wide range of Monoblock Process Pumps. We source these joists from reliable vendors, who manufacture these products making using of supreme grade steel metal to ensure their significant features like high ability to bear all types of working conditions. 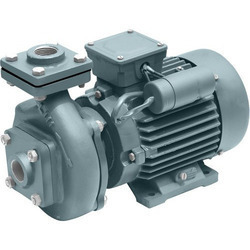 These custom-built pumps are highly useful in different industrial applications. Engineered with utmost precision and perfection, the range of our Horizontal Single Stage Pumps finds its extensive usage in diverse industry verticals. 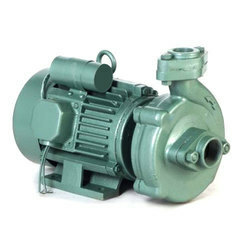 Depending upon the diverse requirements of the clients and changing market trends, these pumps are developed by our vendors in various technical specifications employing latest manufacturing technologies and machine. Further, the range is subjected to different checks based on varied parameters to rule out any possibility of defects. 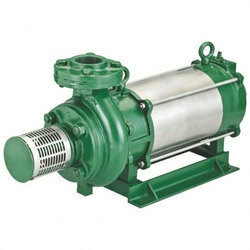 Our organization is also engaged in supplying, distributing and trading a comprehensive assortment of Monoblock Pumps. Designed in adherence with international standards with utmost precision by our associated vendors, the range offered by us finds its extensive usage in varied industries. 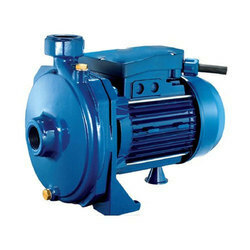 Quality tested on various parameters, these pumps are made available in various specifications with up to 30 HP as required by the clients. Available in our stores is an incomparable range of Open Well Submersible Monoblock Pumps, which is widely appreciated and acclaimed for offering high performance with great precision. We ensure that our associated vendors manufacture these products making use of finest grade raw material and with the aid of advanced machines. Further, our professionals ensure that all industry specified norms and standards are stringently followed by the vendors at each stage of manufacturing.